Inside: Find four easy steps for planning good family vacations, full of adventure. 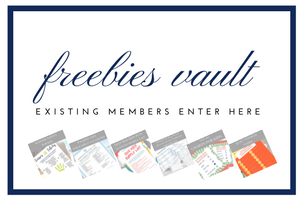 Plus get a free packing list, and discover my best hacks for traveling in an airplane or taking a road trip with young kids. I like to make sure there are plenty of fun things to do when I plan our family adventures. 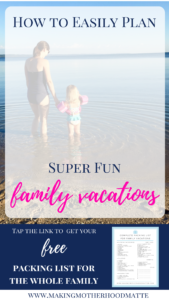 Some of the things I look for when planning our family vacation are places to swim, parks, shopping, and kid-friendly activities. For example, Kalahari Resorts has a great combination of family entertainment centers, the largest indoor waterpark, tree-top adventure courses, and more coming as they expand the Poconos location. The next item I consider when planning family vacations is the location. I like to consider if we want to drive somewhere or if we are able to fly. If you choose to fly, here is a great list of practical ways to enjoy flying with a toddler on your lap. Disney’s Magic Kingdom is one of our other favorite spots. Here you can find my schedule for a day at the Magic Kingdom with two toddlers. On the other hand, if you choose to do a road trip, check out this DIY hack to make your life with kids so much easier. One of the benefits of Kalahari Resorts is that they have three locations in PA, WI, and OH, which makes it possible to travel without needing to get on an airplane. 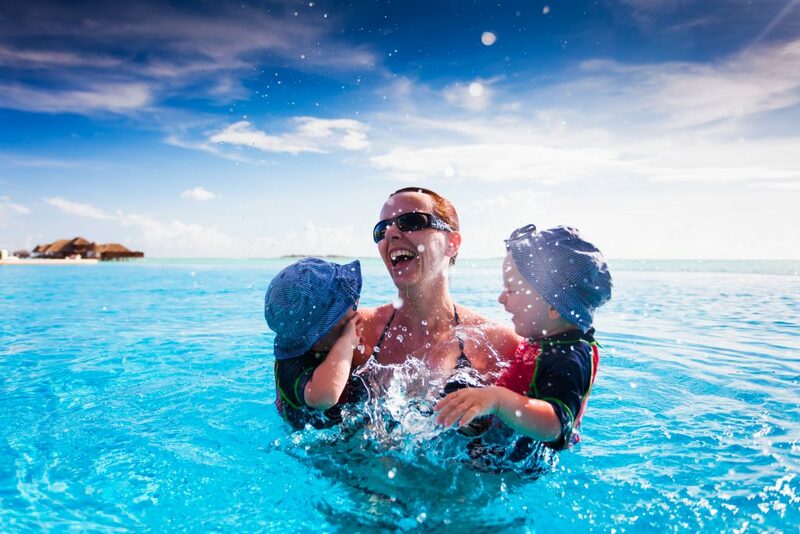 As a mom, I am all about keeping life simple, especially when it comes to family vacations. It’s nice to be able to stay at a family resort that has activities for every age. That way whether it’s your baby or grandma on the trip, there is plenty to do. For this reason, I like Kalahari Resorts because they offer a full experience, including many incredible dining options, all under one roof. Here is a great list of the top 10 family-friendly vacation spots. And maybe, just maybe, the stars will align during your vacation so that your family member can watch the kids or they all nap at the same time so you can go to the luxury spa or hair salon. Or how about some retail therapy? Thankfully, you can find all of this included in one place, at the Kalahari Resorts. 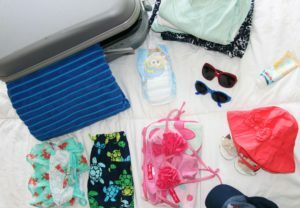 Once you’ve planned your family vacations with these four components, all that’s left to do is to get packing. 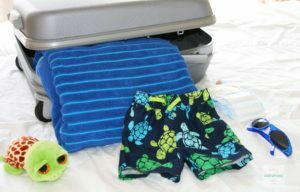 Click here to get your free printable packing list for the whole family. Get out of the winter dreariness by taking an adventure-oriented vacation at the African-themed destination, Kalahari Resorts. What is your favorite part of family vacations? P.S. If you enjoyed this you may also like How to Actually Enjoy Flying With a Toddler on Your Lap. Things to do for the whole family is a must. If they can't stay busy that means mom can't relax lol! We love to take the time together as a family to explore! I am so ready for a vacay! It's the perfect time of the year to plan a vacation! Yes, I am ready for some family fun. Awesome list of tips! And I always love a good printable. Thanks! I am a total list maker, so I love printables that save me time too.